Athens is one of the wealthiest cities of the world in terms of ancient culture and civilization. Its history dates back to 6,000 BC with the first settlements of humans in the area of Attica who were hunters, fishermen and farmers. Continuously they expanded their activities by starting trading exchanges and inter-connections with both neighboring and remote societies. At the same time, people constructed towns with public buildings and evolved several human capacities that derive from their natural need to express themselves, such as painting, playing music, singing, dancing and later on writing, theatre performing, sculpturing, philosophy and several other arts. What is more, science and politics had also a great flourish with an amazing progress in the fields of medicine, mathematics, physics and on the other side in the establishment of democracy. This long history has bequeathed to modern Greece a big treasure of monuments and museums that are undoubtedly worth visiting and can offer very interesting information and knowledge to the next generations. 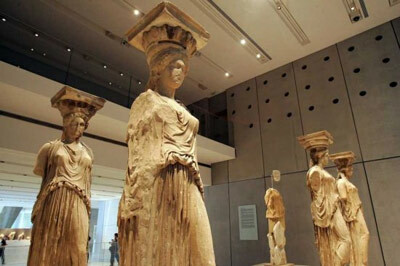 Far from that, Greece and especially Athens has a plethora of museums that host various evidences of its ancient history while it has also various exhibitions areas where the wealth of the modern town or of the recent history of it, are exposed. A visit to Athens can be amusing, educational and in any case extremely interesting. The global civilization has highly been influenced by ancient Greece and it is very common hearing foreign visitors looking for their cultural roots in Athens. 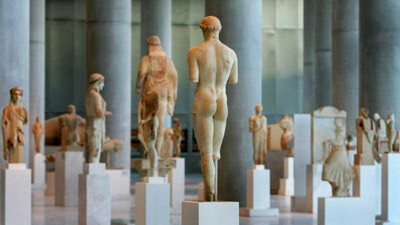 The 8,000 years old history of Athens is presented in the archaeological museums located in various areas of the city. The National Archaeological Museum of Athens is the largest one which is rich in valuable ancient treasures. Greece has several Byzantine monuments in various areas of it. Byzantine churches, Monasteries and museums host unique icons and frescoes created during the Byzantine and post-Byzantine Era. The historical museums of Greece host mainly exhibits related to the last five centuries historical events of the country, focusing on the Independence War in 1821 and the political affairs of the 20th century. The traditional aspects of the daily life during the early twentieth century are hosted in the Folk Museums of Greece and represented by local costume and other clothing, domestic items and several decoration objects. The history of the Greek cinema and theater is presented into museums that host interesting theatrical or cinema related objects, including personal staff of famous greek actors. Greece is a country that has a long history as far as its maritime life is concerned. Thanks to its long coastline its inhabitants occupied with sea works while several Naval Battles took place in the greek seas during the past. The science museum of Greece present the development of several scientific sections such as medicine, technology, mineralogy. The natural history museums are very interesting to young children who enjoy the view of wild and exotic animals. Greece has a few really impressive natural history museums that are definitely worth visiting. The most popular one is the Goulandris Natural History Museum.